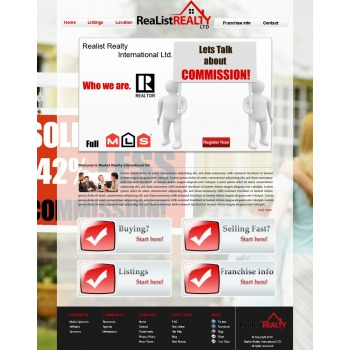 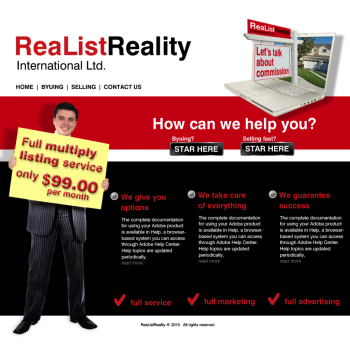 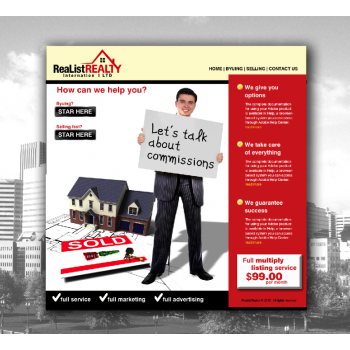 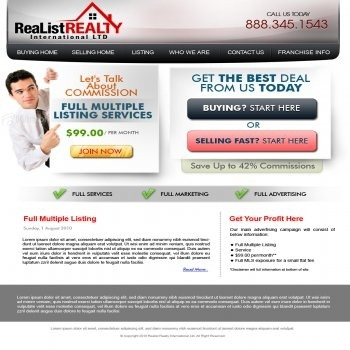 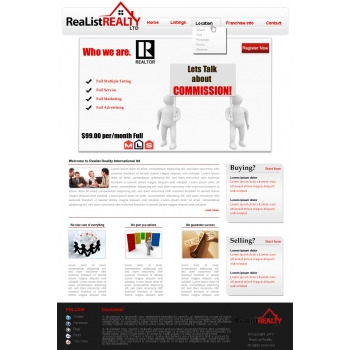 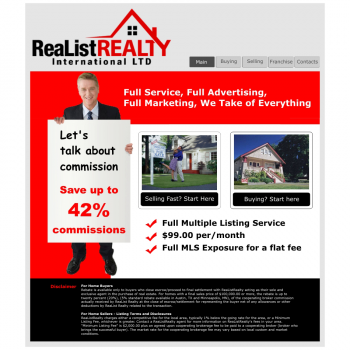 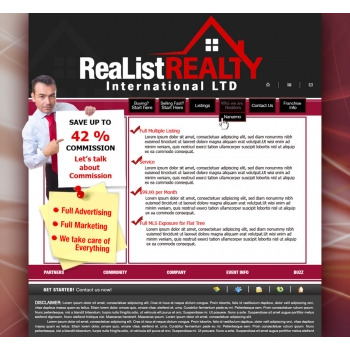 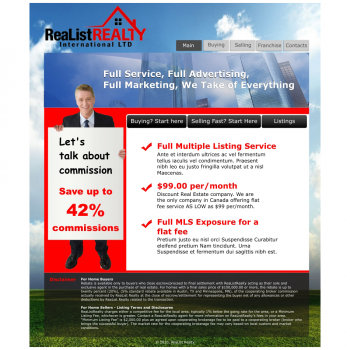 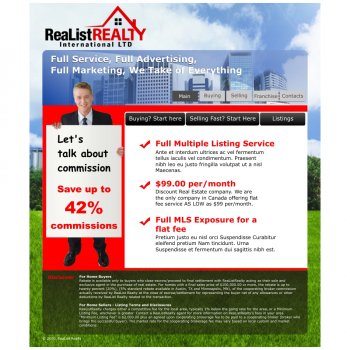 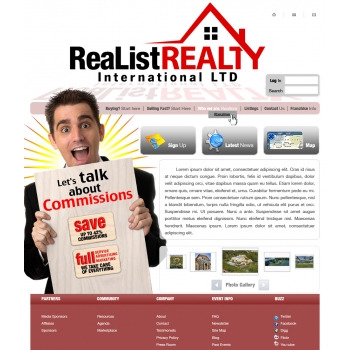 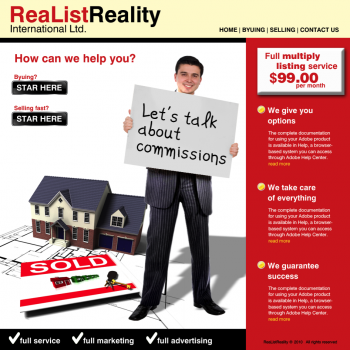 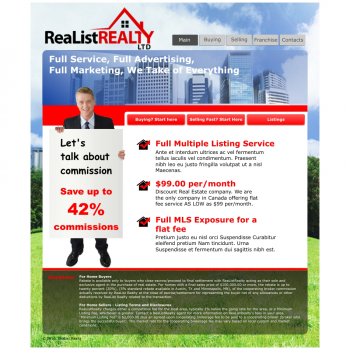 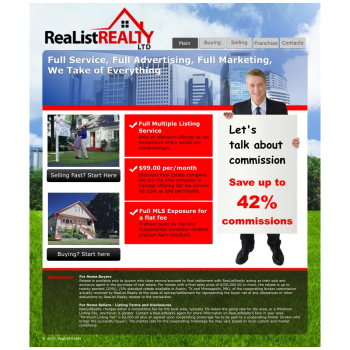 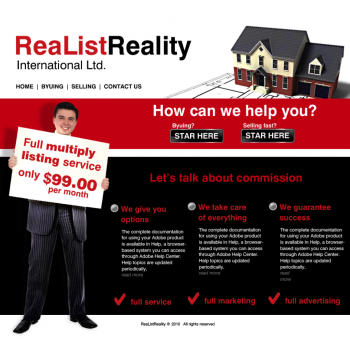 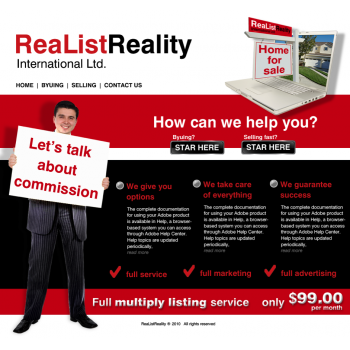 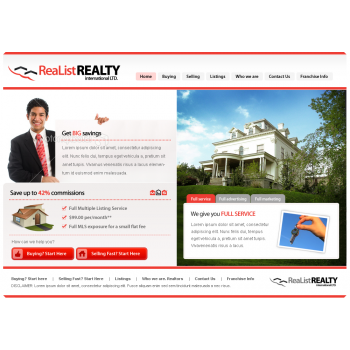 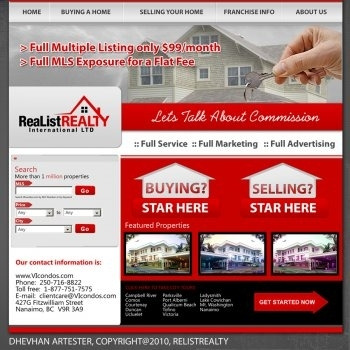 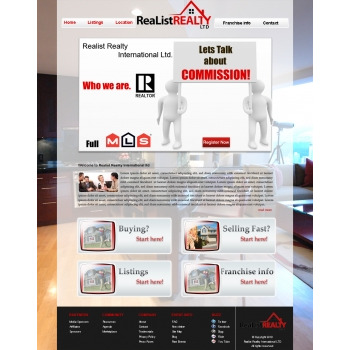 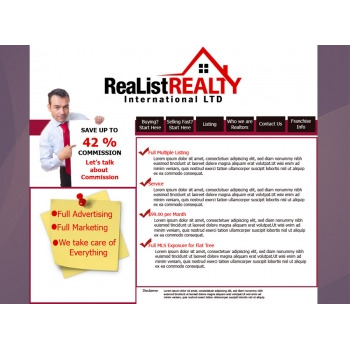 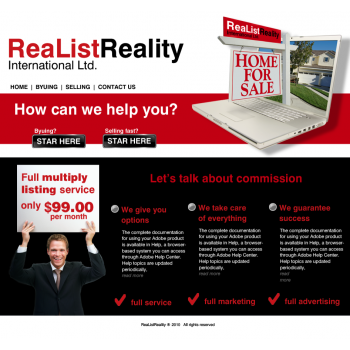 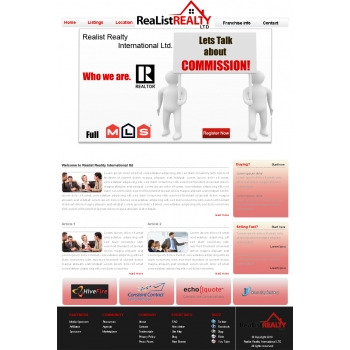 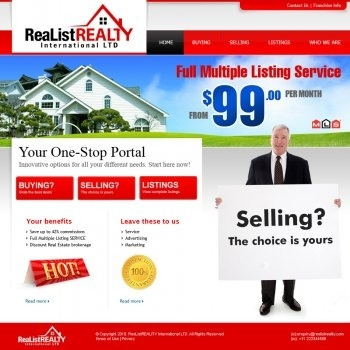 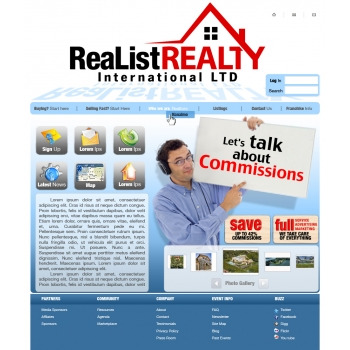 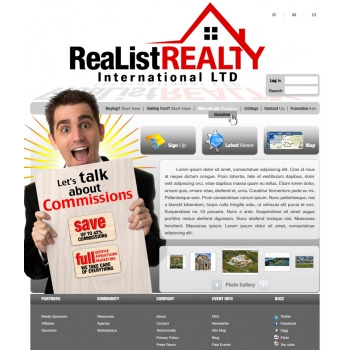 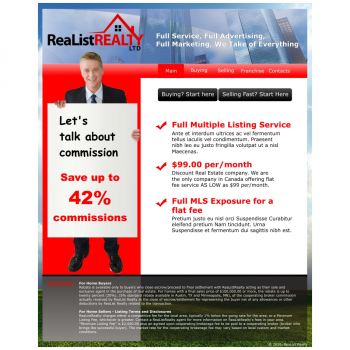 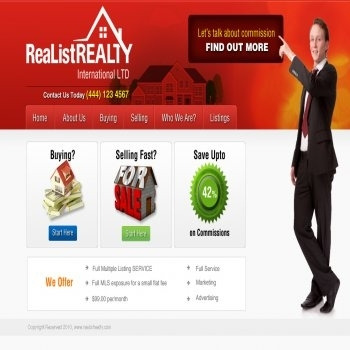 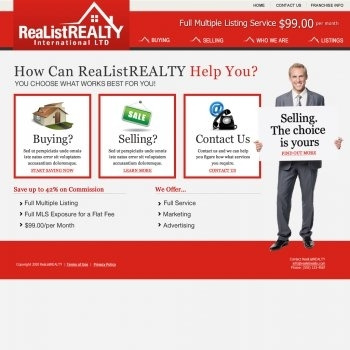 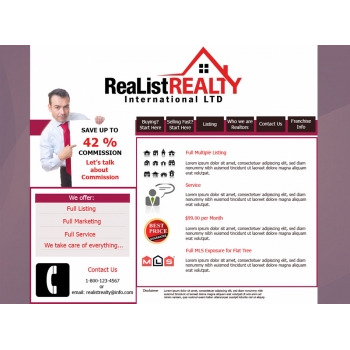 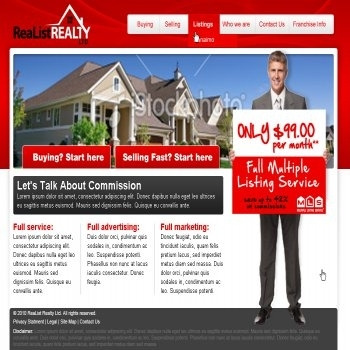 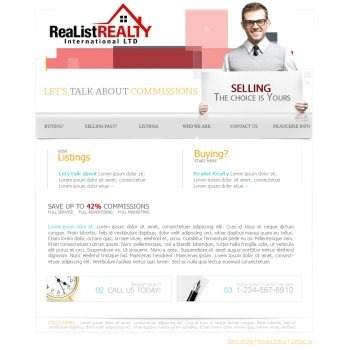 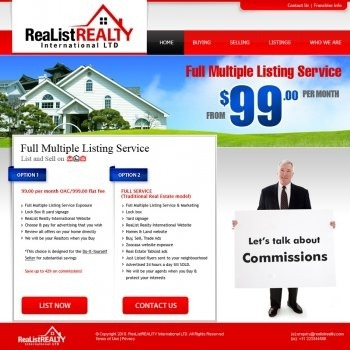 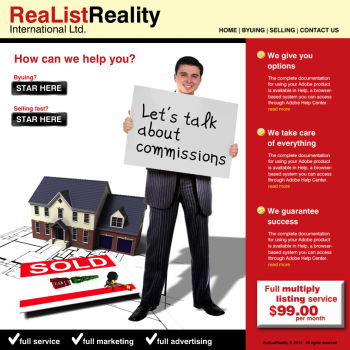 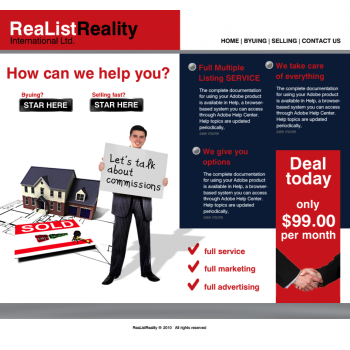 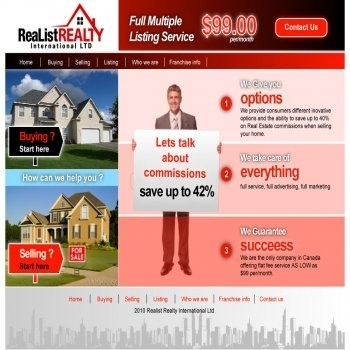 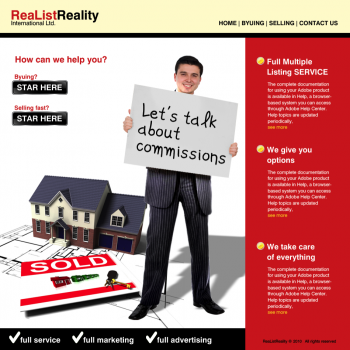 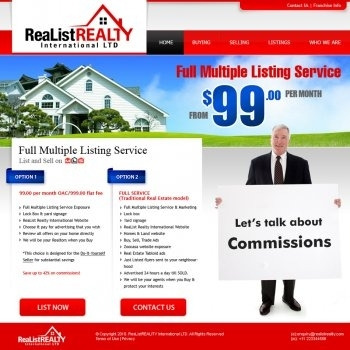 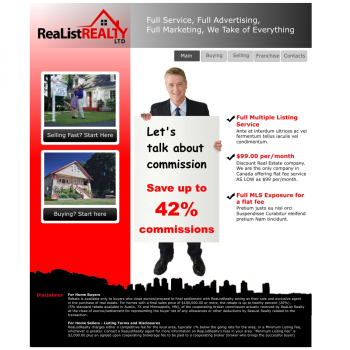 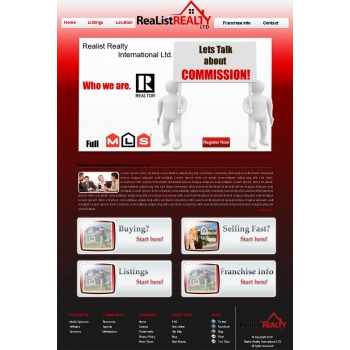 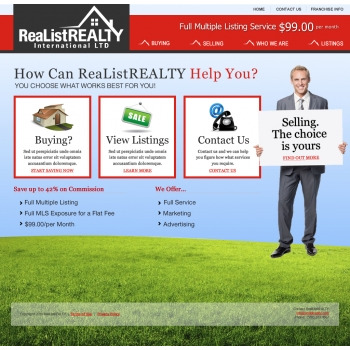 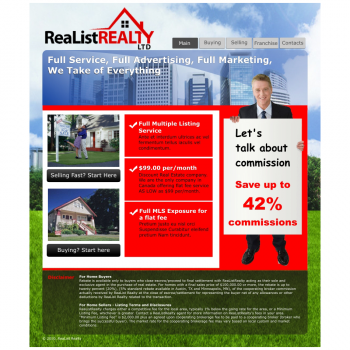 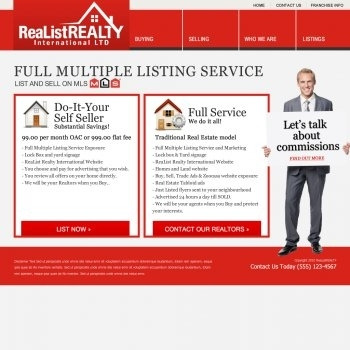 International, Canada based Real Estate Marketing company. 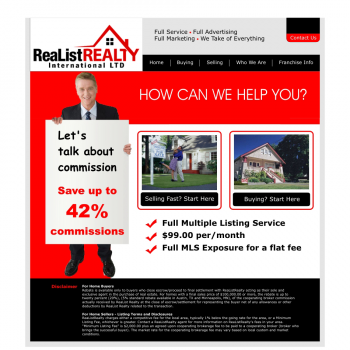 We provide consumers different inovative options and the ability to save up to 40% on Real Estate commissions when selling your home. Discount Real Estate company. 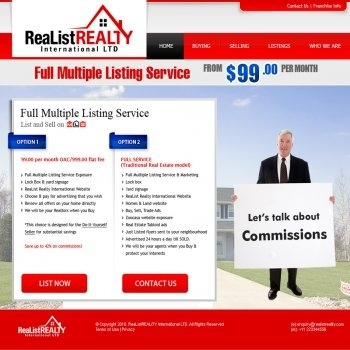 We are the only company in Canada offering flat fee service AS LOW as $99 per/month. 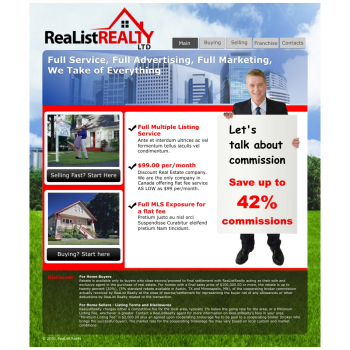 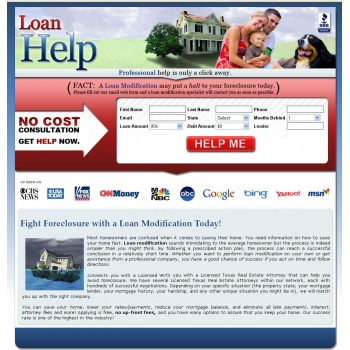 Target audience would be anyone who is looking to buy or sell their home. That persons would be someone who is researching different possibilities to list with a Real Estate agent for full MLS exposure and to save money. 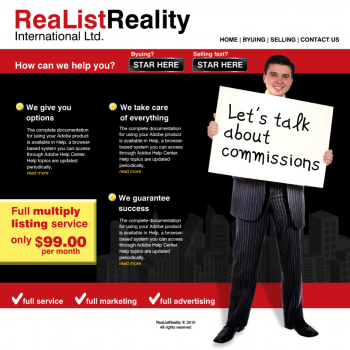 We would like to have the president of the company holding a sign which states the BIG savings, or slogan: "Let's talk about commissions". 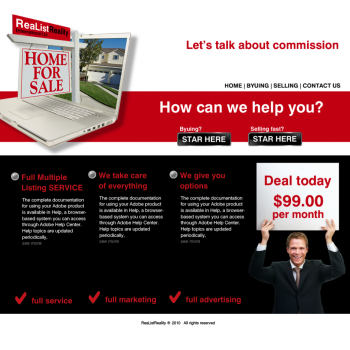 The picture of the president holding a white board will be posted in a few days. 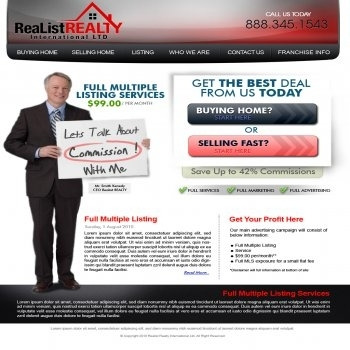 Until then can we use a generic picture of a person holding a sign to account for space. 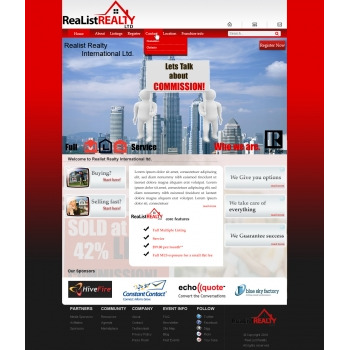 We would like the webpage to consist of a couple different pages including pages labelled: "Buying? Start here" "Selling Fast? 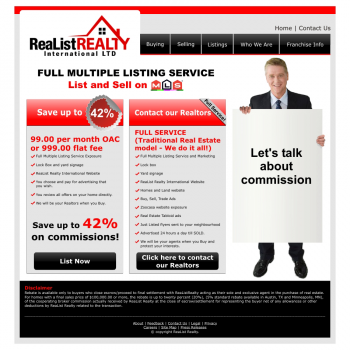 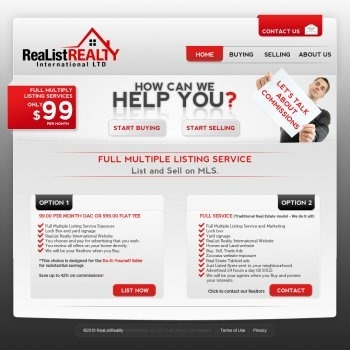 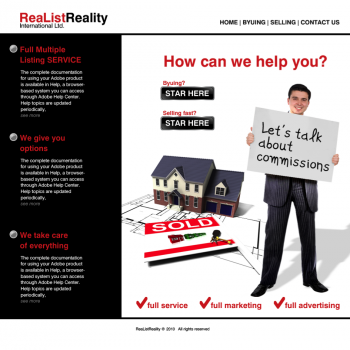 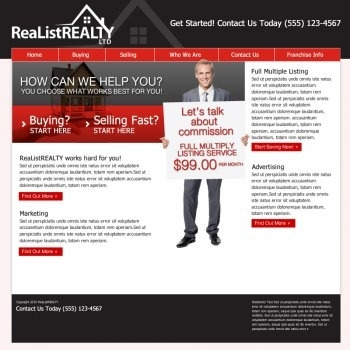 Start Here" "Listings" "Who we are. 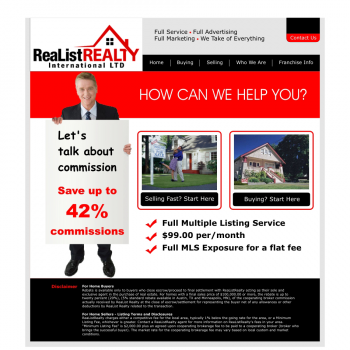 Realtors" "Contact Us" "Franchise Info". 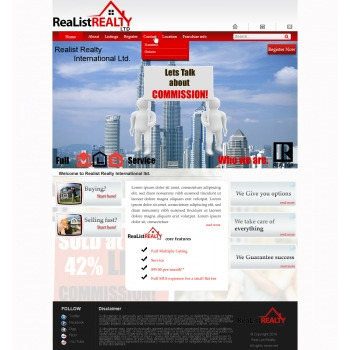 At the current time, we only have the one division but would like the website to be able to expand when our divisions grow. 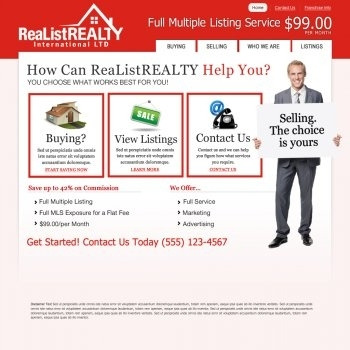 For example, when clicking Listings, Contact, or who we are options they should have a drop down where the person can select the city in which they want that information. 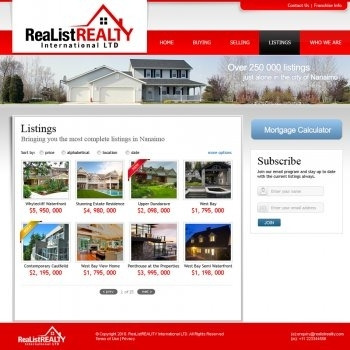 Right now the location is Nanaimo. 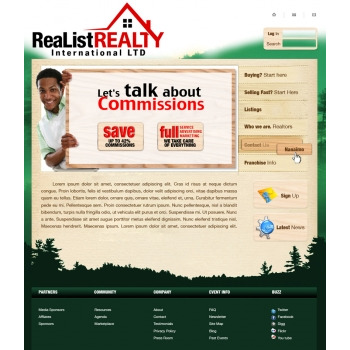 We are just finalizing our logo competition with design tourney. Our favorite logo right now is #17, that is the similar logo and red and black design colour scheme, (Logo only) that we are going with. 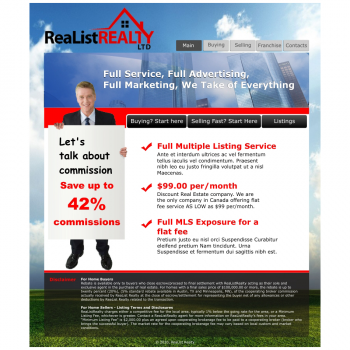 We have included the MLS logo which can be used for emphasizing MLS exposure, change in the logo for the words MLS. 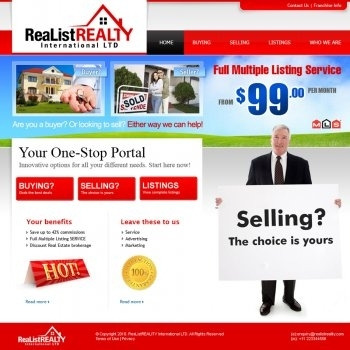 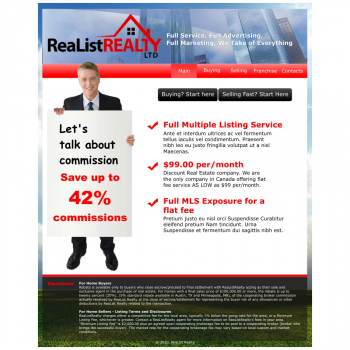 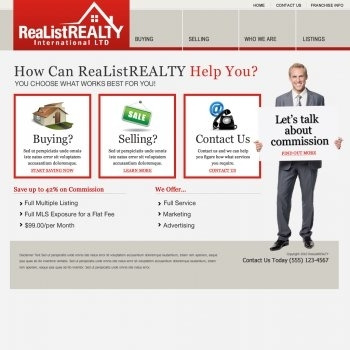 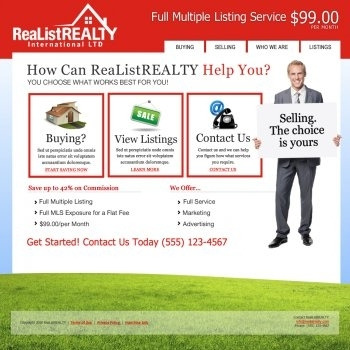 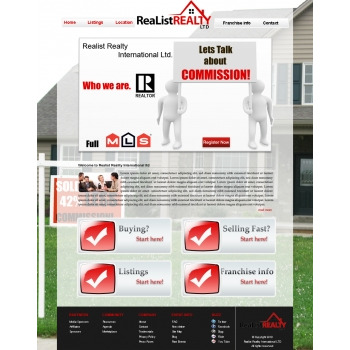 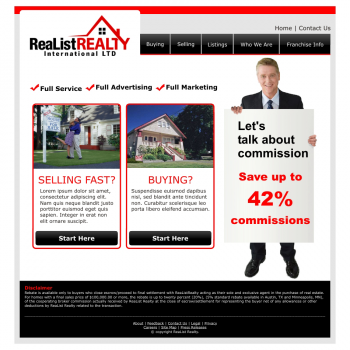 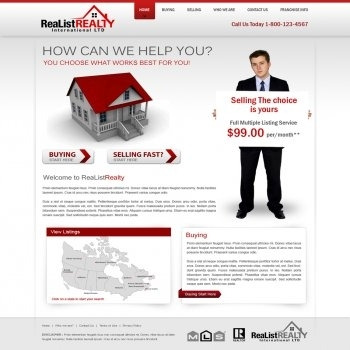 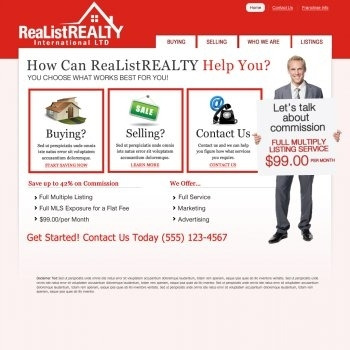 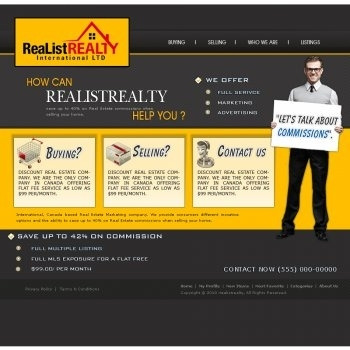 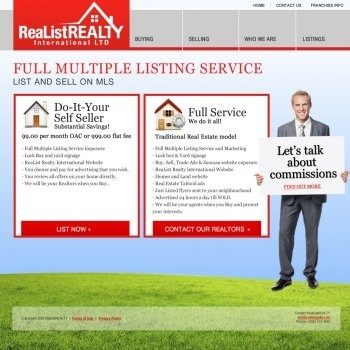 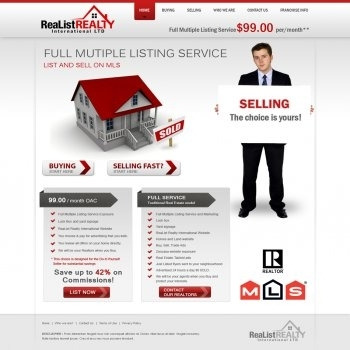 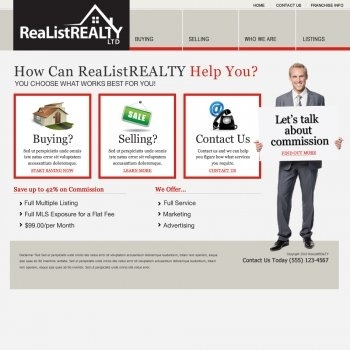 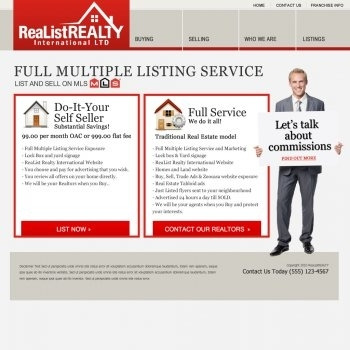 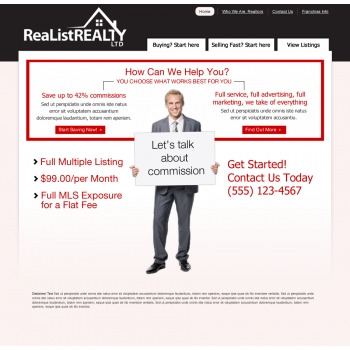 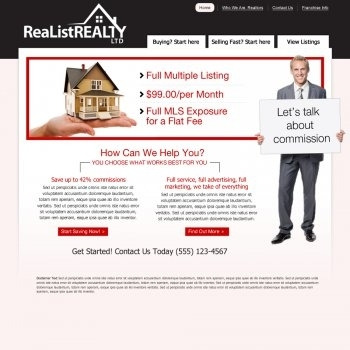 The included Realtor logo should also be after anytime the word Realtor is used. 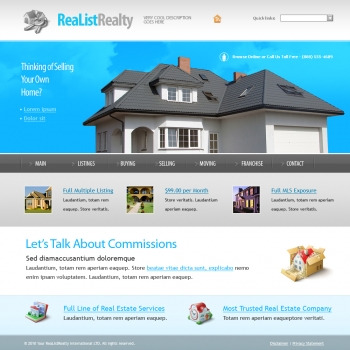 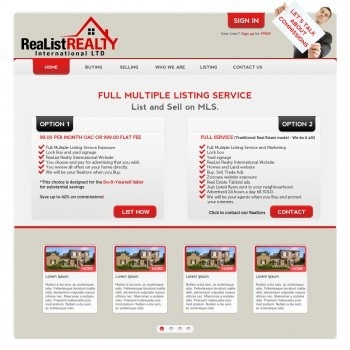 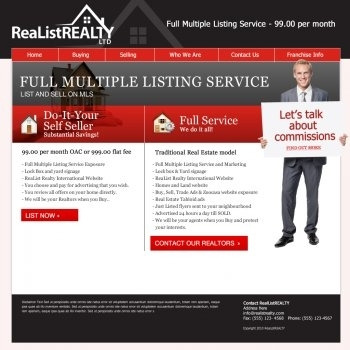 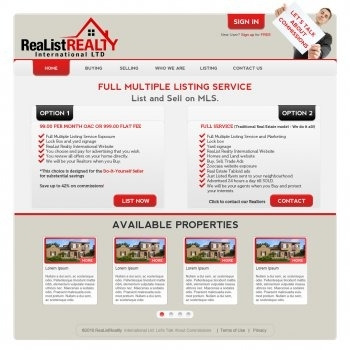 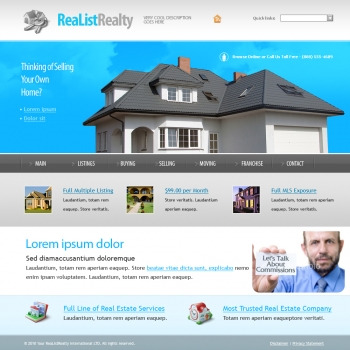 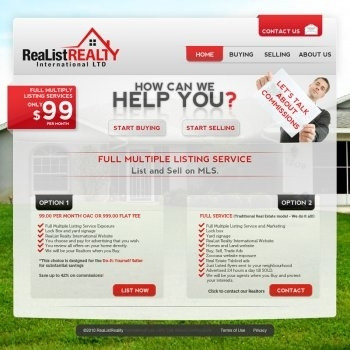 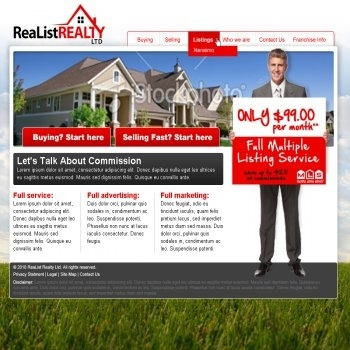 Overall, the website should be very clean, uncluttered, and gets the main point across that it is a new innovative way of doing Real Estate.